The prototype HP.38, J9130. Note the 20lb practice bombs under the trailing edge of the rear wing - these gave clearance problems at the A&AEE. Another view of the HP.38 showing the upper turret and the 'dustbin' in lowered position. 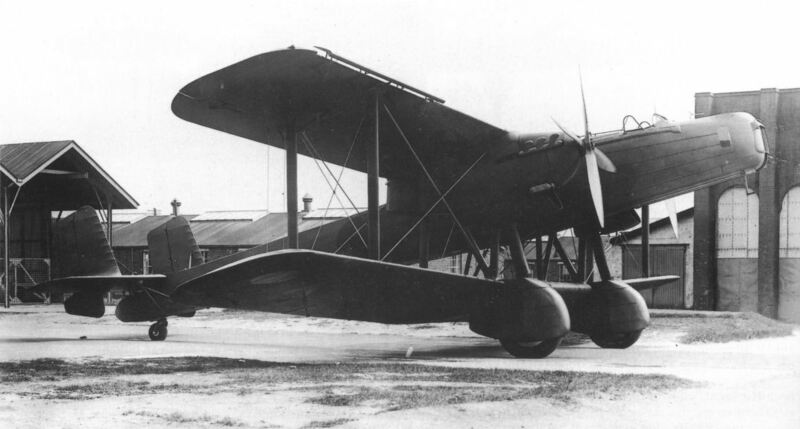 Front view of the first production Heyford, K3489. In between the mainwheels can just be discerned the bomb cells in the lower wing centre section. Mk.I K3500 of 99 Squadron with its gunners taking exception to the photo-ship! Delivered in March 1934, it crashed near Colchester in May 1937. 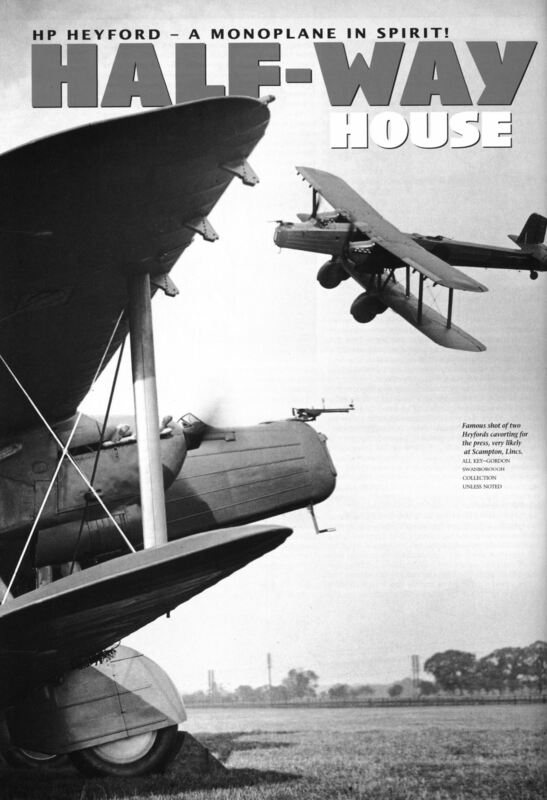 Famous shot of two Heyfords cavorting for the press, very likely at Scampton, Lincs. Heyford K3503 was used by HP for a series of improvements, including Kestrel VIs and an enclosed cockpit. It is wearing the Hendon 'new types park' number '14' for the 1934 Air Pageant. Heyford II K4868 newly-delivered to 7 Squadron at Worthy Down in April 1935. 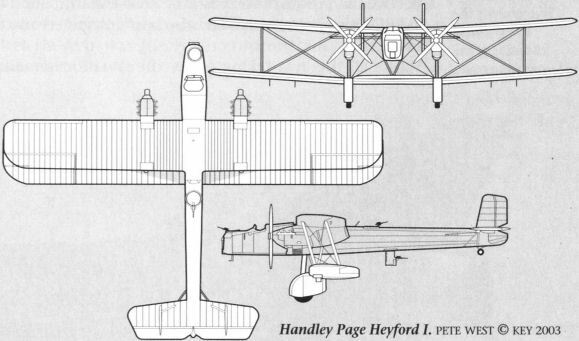 Note the slats, four-bladed props and the profile of the nose. Night view of a Mk.II. Outboard of the wheel spats it carries racks for 112lb bombs and Light Series racks. Mk.III K6868 joined 9 Squadron in February 1936. In March 1939 it moved to 4 AOS and was struck off charge in July 1940. With a 'C' Type hangar under construction in the background, another view from the press demonstration, believed to be at Scampton. 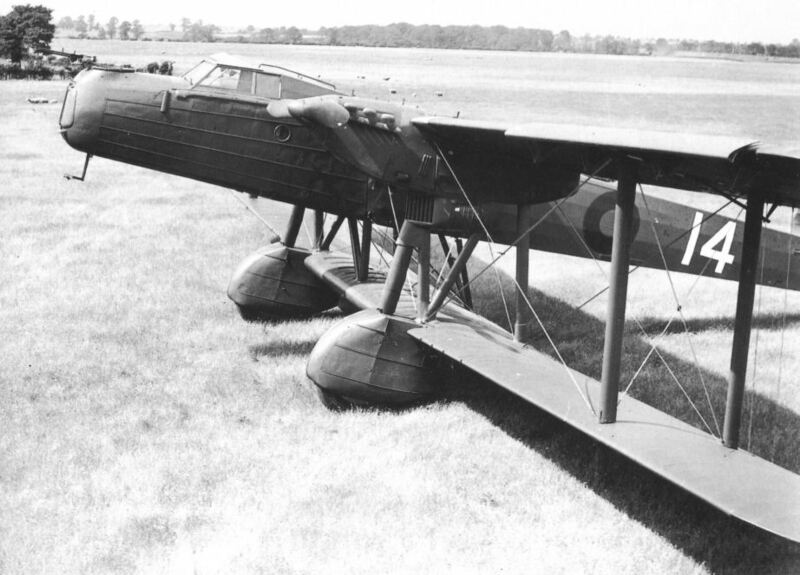 One of the two B19/27 rivals that got as far as the fly-off stage, Vickers Type 150 J9131. The Fairey B19/27 K1695 which was followed by a small production run, as the Hendon.